Past Events - WELCOME TO SG DRUM ACADEMY - THE ACADEMY FOR DRUM LESSONS, MASTERCLASSES, CLINICS AND BOOKS. We are pleased to announce that we will be hosting the 1st Anniversary of SG Drum Academy on the 22nd of July at Riverwalk. 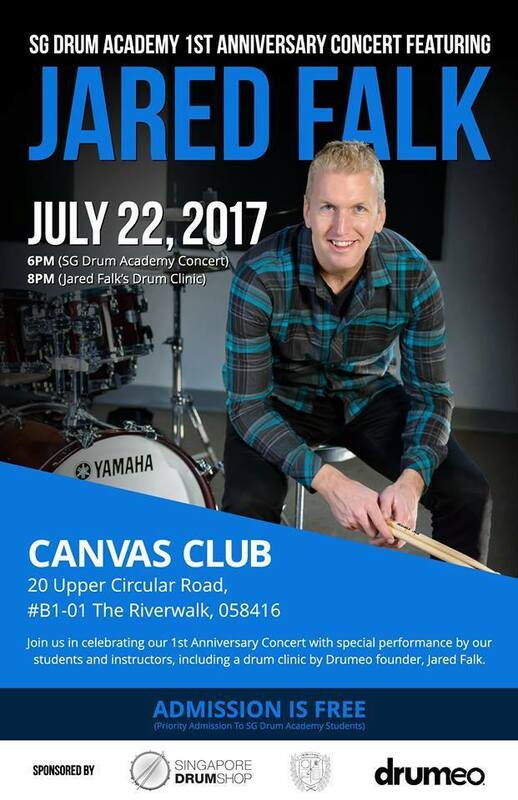 There will be performances from SGDA's students and teachers and of course, a free drum clinic featuring Jared Falk. 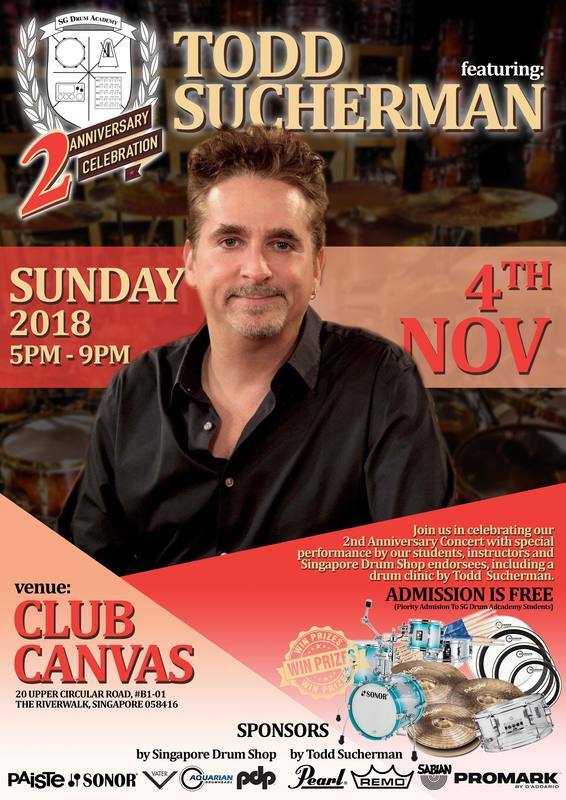 Happening on the 4th of November, the SG Drum Academy 2nd Anniversary Concert featuring Todd Sucherman! Come and watch our artists/students/teachers perform with a featured 2 hour clinic by the world's best rock drummer Todd Sucherman. 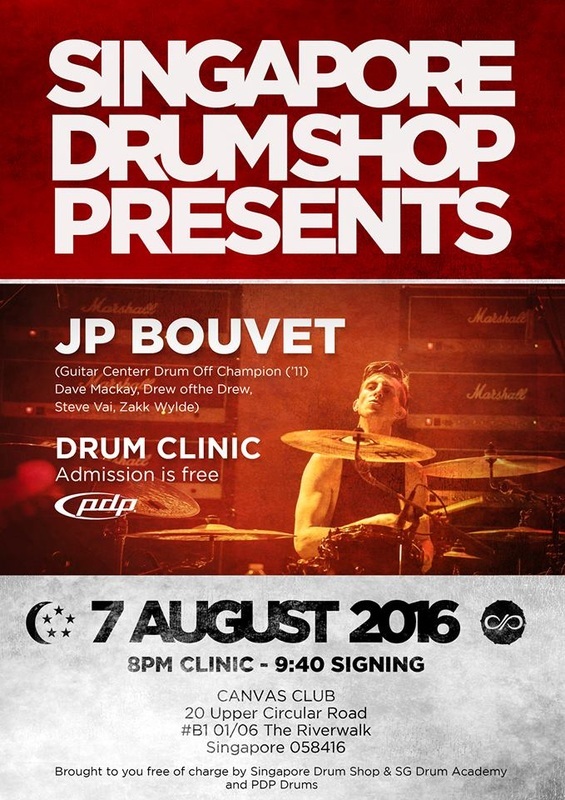 This will be Todd's first ever drum clinic in Asia and it will be an absolute memorable time for all. A big thank you to our sponsor and Todd's sponsor for making this event happen.